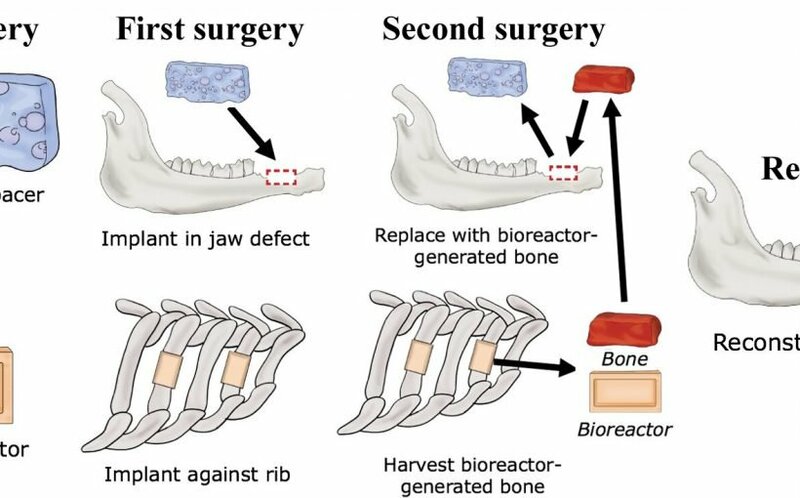 Rice University bioengineers and their colleagues have developed a technique to grow live bone to repair craniofacial injuries by attaching a 3-D-printed bioreactor—basically, a mold—to a rib. 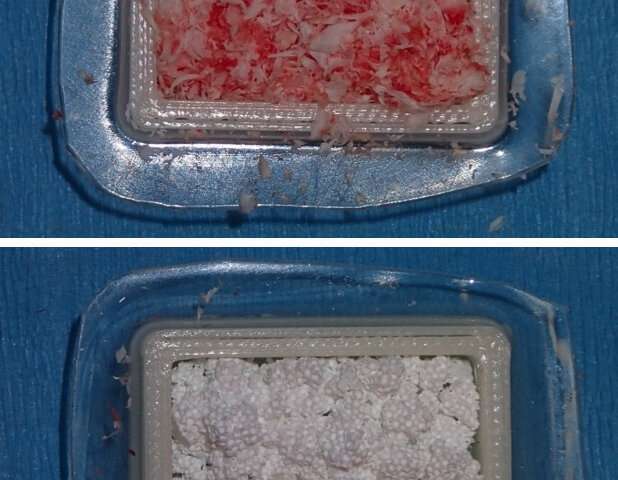 Stem cells and blood vessels from the rib infiltrate scaffold material in the mold and replace it with natural bone custom-fit to the patient. 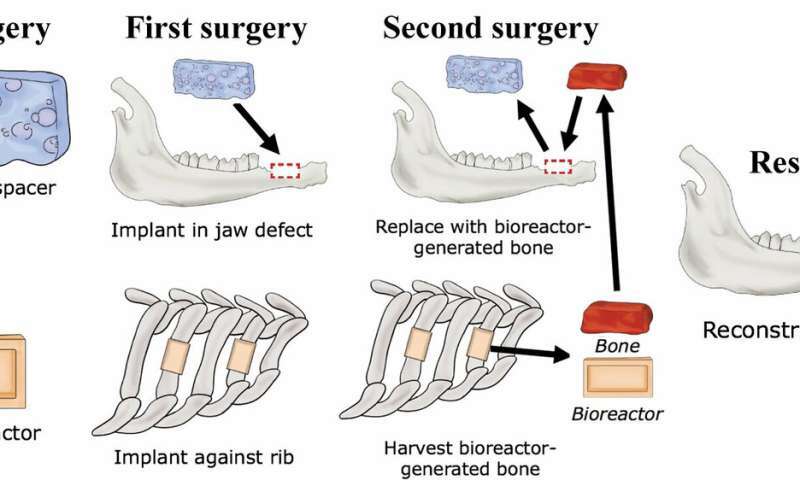 “A major innovation of this work is leveraging a 3-D-printed bioreactor to form bone grown in another part of the body while we prime the defect to accept the newly generated tissue,” said Mikos, the Louis Calder Professor of Bioengineering and Chemical and Biomolecular Engineering at Rice and a member of the National Academy of Engineering and National Academy of Medicine. To prove their concept, the researchers made a rectangular defect in the mandibles of sheep. 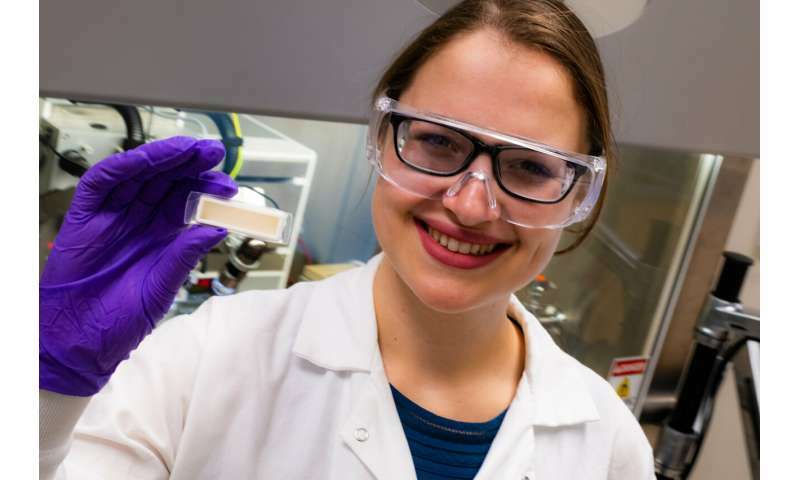 They created a template for 3-D printing and printed an implantable mold and a spacer, both made of PMMA, also known as bone cement. The goal of the spacer is to promote healing and prevent scar tissue from filling the defect site.